In the beginning of this mandatory hand-in, I was super stoked and inspired. However, it has proven to be more difficult than I imagined at the beginning. I’ve thought I had some good ideas, I’ve been stuck, frustrated, I’ve thought I was on to something, then really insecure about the whole poster. However, I did have a certain idea from the beginning that I’ve built on for the past weeks. As the song I’ve chosen doesn’t really contain a whole lot of different words and meanings, I started out by writing down the main things in the lyrics that I think of when listening to it. As this song, and the rest of the album is directed at dedicated fans, this became my target group. 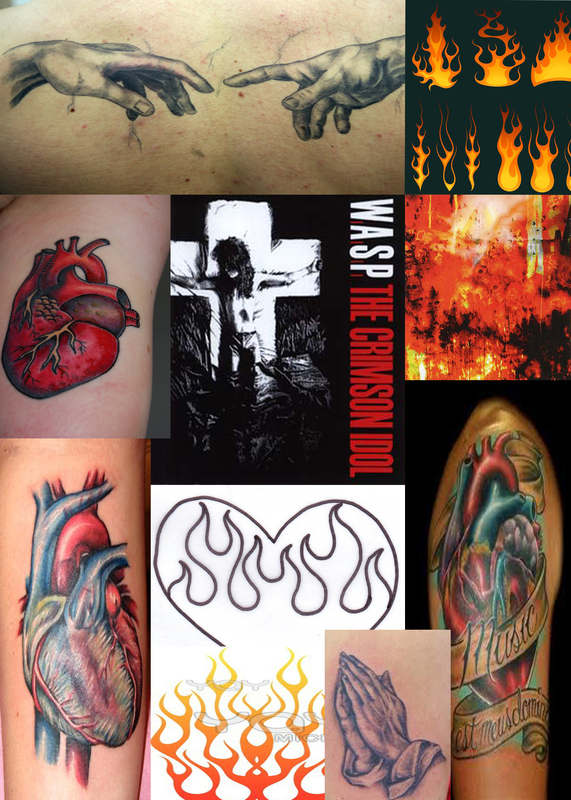 By this, I mean dedicated fans that knows this album, and WASP by heart, such as myself. Also, the objects in my illustration is something that anyone can recognize. From the very start, I had an idea of a poster with two hands holding a heart with a flame inside. Pretty much a direct illustration of the song. I was stuck on this thought, and on the idea that the illustration style was going to be more tattoo inspired, as tattoo and rock goes hand in hand. The moodboard contains some album art, tattoos of the objects I wanted to illustrate, tattoo stencils, and a similar color range that I already had in my mind. I scanned the sketches, and started working on the different elements that I had drawn up. 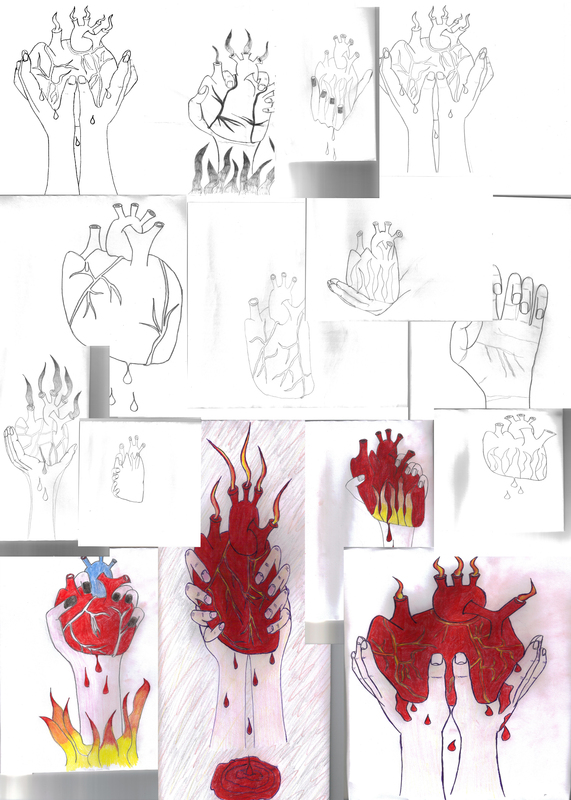 I also used Google images for inspiration, searching for images such as ‘hands’, ‘hand sketches’, ‘human heart’, ‘flames’ and ‘hands holding’. The hand-in is due tomorrow, and I am pretty much done with it. Just need to add some finishing touches in Illustrator and finish my report. Result will be uploaded here tomorrow as well.